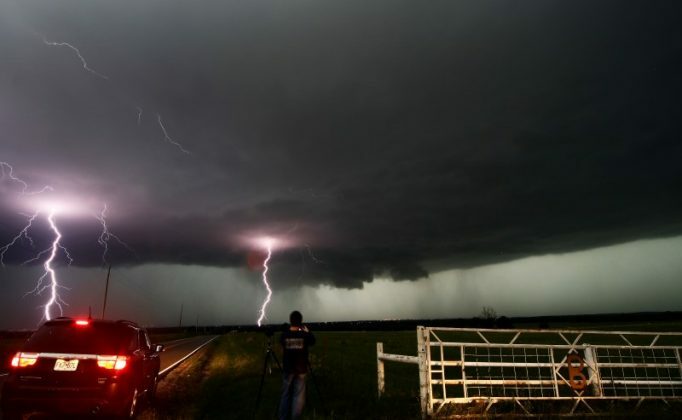 NEW YORK (Reuters) – A pair of fatalities from lightning strikes over the weekend lifted the U.S. death toll from such accidents this year to 29, the most since 2010, the National Weather Service said on Monday. The latest lightning-related deaths occurred in Colorado and Michigan on Friday, the NWS said in a report. With four months left in the year, the 2016 toll has already surpassed last year’s 27. Eight people have died from lightning this month, making it the deadliest August since 2007. In July, typically the month with the most fatalities, 12 people were killed by lightning. said John Jensenius, an NWS lightning safety specialist based in Gray, Maine. “There’s not much variance in lightning activity,” he told Reuters, saying the rise was due more to behavior. Fridays have been the deadliest day of the week this year, which Jensenius said was unusual. Typically, the highest number of incidents occur on Saturdays and Sundays, when Americans are outside barbecuing and enjoying other weekend activities. This year, as is typical, Florida has posted the highest number of lightning deaths, with six. Louisiana and New York were next, with four and three fatalities, respectively. Deaths from lightning have fallen sharply from the hundreds reported each year in the 1940s and 1950s, when there were more farmers riding tractors in open fields, Jensenius said. The odds of being struck in a lifetime remain relatively low, about 1 in 12,000, NWS statistics showed. There is about one death for every 10 people hit by lightning. But Jensenius advised caution, saying people should get inside during thunderstorms. “If you can hear thunder, you’re close enough to be struck,” he said. This entry was tagged Death, Extreme Weather, lightning, United States, Weather. Bookmark the permalink.